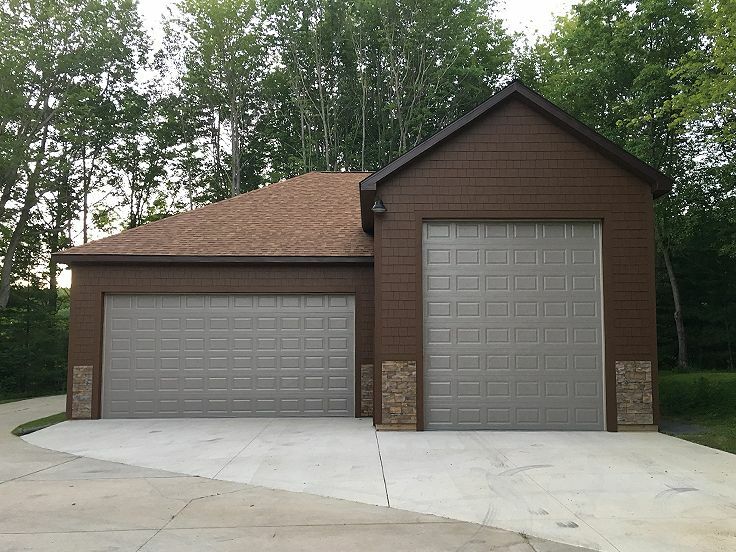 This flexible, tandem garage plan neatly holds four cars and an RV or boat or six cars if you desire. 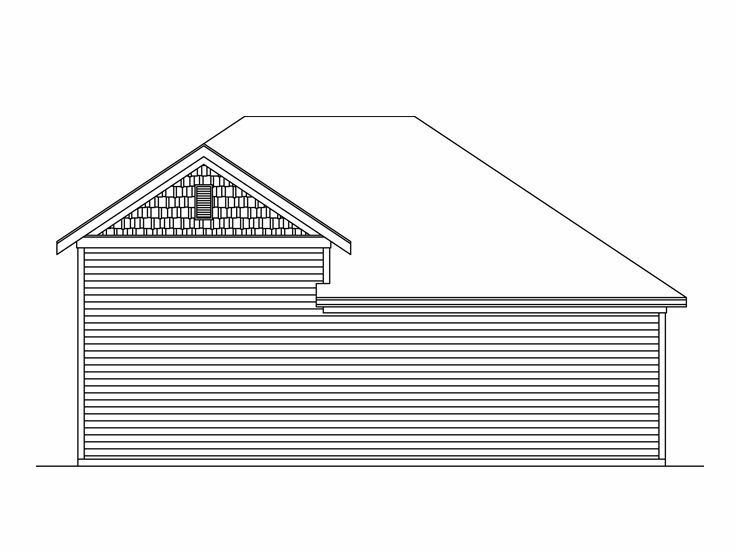 It would also hold other various combinations of cars and other motorized vehicles. The exterior features a multi-material façade that neatly blends with many Craftsman-style and some European-style homes. 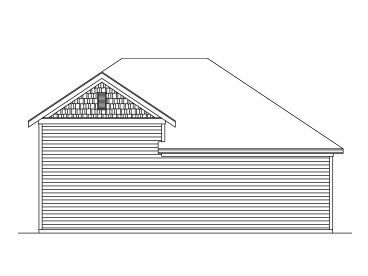 The floor plan delivers 1812 square feet of parking space featuring an RV garage outfitted with 12’x14’ overhead door and a 16’ ceiling providing a safe place to store your investment when you’re not on the road. 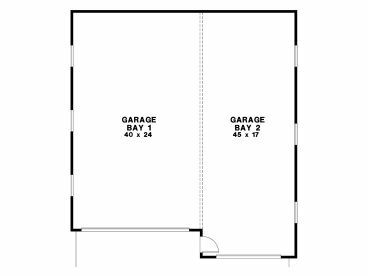 A double tandem bay reveals a 20’x10’ overhead door and a 12’ ceiling. 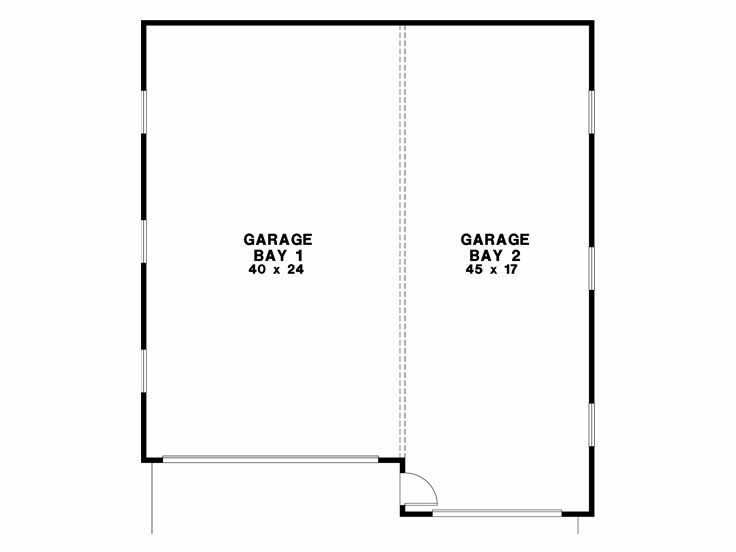 Park four automobiles here if you wish or use the back portion of the garage for a workshop and tool storage and park two cars at the front of the garage. 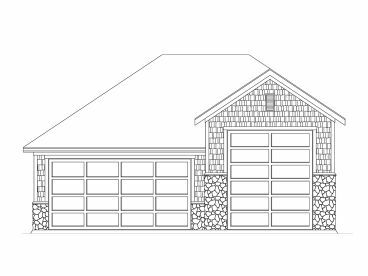 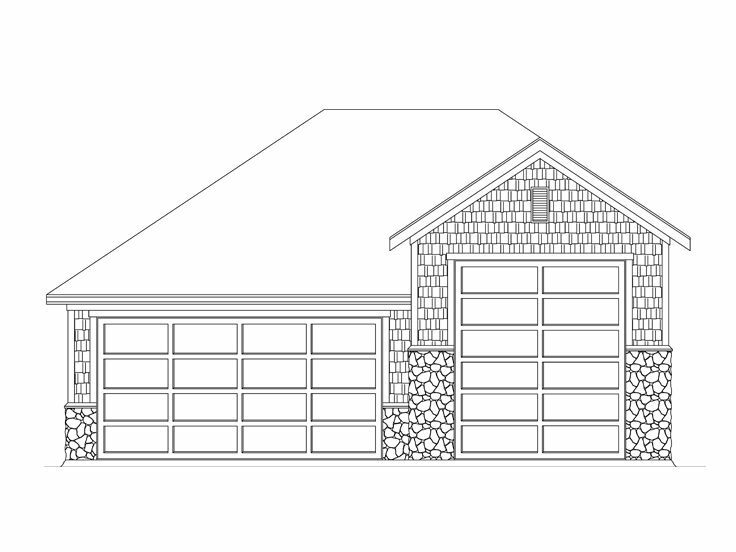 Designed for flexibility and function, this RV garage plan can accommodate a broad range of needs.